Pack of two Mighty Mite MM718L pots. 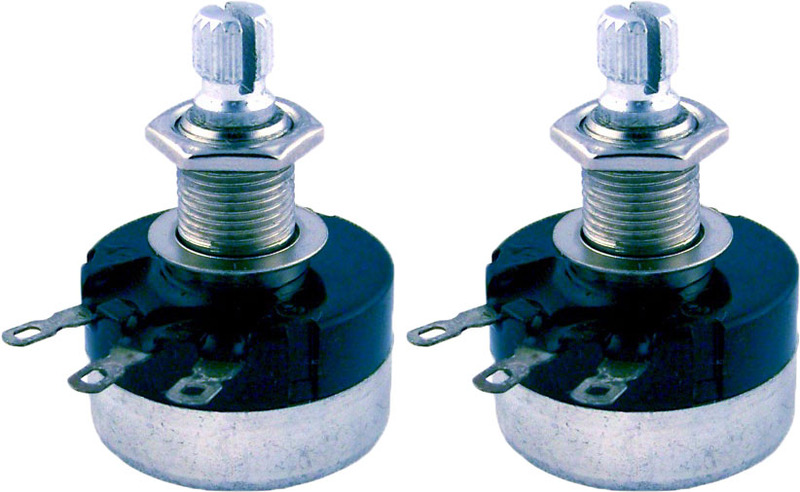 The Mighty Mite® MM718L is a standard size high quality 500k sealed linear taper pot suitable for tone controls. These arecustom designed, pro quality all sealed pots. Includes washers and nuts. Split knurled medium shafts, knobs not included.